We are a quality centric company and have established a modern warehouse that is equipped with an up-to-the-minute inventory control system. This has helped us in maintaining the quality of the products for a longer time. Our products are packed under controlled conditions to ensure their quality is not compromised and buyers are presented with brand new products. We have an ultramodern facility to pack our products. 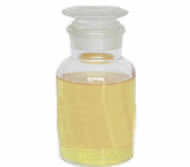 Acid Thickener is a cationic surfactant that was originally designed to thickenhydrochloric acid, which it does very effectively on its own; however, when used in combination with sodium chloride (salt), it will thicken a variety of acid systems including phosphoric, sulfuric, hydrofluoric, citric, oxalic, etc.